Verdana is a sturdy sans serif designed by Matthew Carter en 1996 para Microsoft for reading on screens and he succeeded. Verdana is as legible as other go-to fonts like Futura, Lato and Europa. 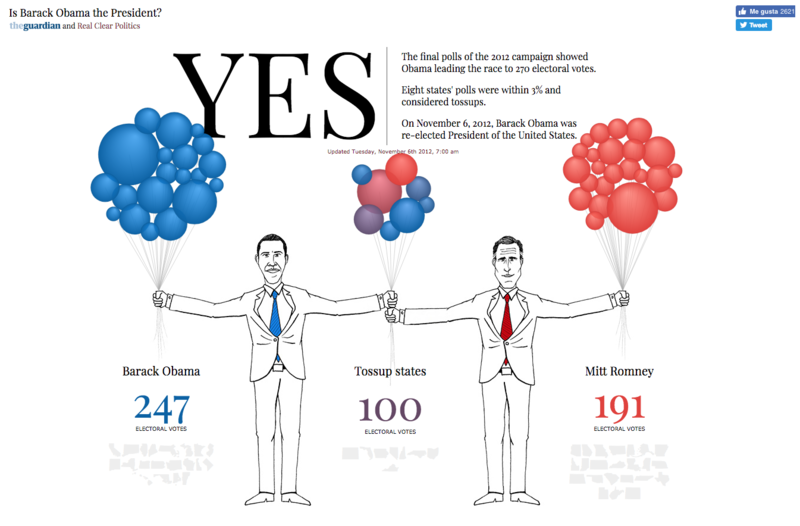 Playfair Display appears in the body of the text and titles; Verdana is used for "Electoral votes."